The theme of the 2012 Royal Tour is "For Queen and Country: Service to Canada—A Royal and a National Value." OTTAWA, April 30, 2012 /Canada NewsWire/ - The Honourable James Moore, Minister of Canadian Heritage and Official Languages, today announced details of the Royal Tour of Canada by Their Royal Highnesses The Prince of Wales and The Duchess of Cornwall. 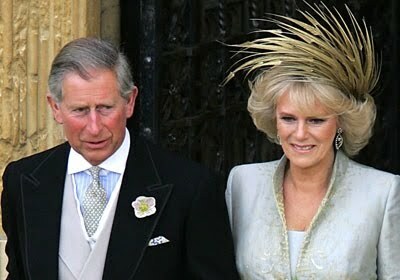 The Royal Couple will tour Canada from May 20 to 23, 2012, visiting four communities in three provinces. "We are delighted that Their Royal Highnesses will join Canadians in celebrating the 60th anniversary of her Majesty's reign as Queen of Canada," said the Honourable James Moore, Minister of Canadian Heritage and Official Languages. "Occasions such as this are rare. The only other time Canada celebrated the Diamond Jubilee of a reigning King or Queen was for Queen Victoria in 1897. We welcome the Royal Couple and look forward to showing them some of the best of what Canada has to offer." This will be the 16th time His Royal Highness has toured Canada. His most recent tour was in 2009. This will be the second tour to Canada for Her Royal Highness The Duchess of Cornwall. ...A performance by the Regina Symphony Orchestra of which His Royal Highness is a Royal Patron in Regina on May 23. A full itinerary is being developed in collaboration with municipal, provincial, federal partners, Clarence House, and private organizations, and will be announced closer to the start of the Royal Tour. The Crown in Canada iPhone application is available to download for free at www.CanadianCrown.gc.ca. Users of BlackBerry smartphones and other mobile devices can access the content at m.canadiancrown.gc.ca. You can also follow the latest updates on the 2012 Royal Tour on Facebook and Twitter. The Diamond Jubilee is one of many milestones Canadians will celebrate in the coming years, including the War of 1812 bicentennial, Sir John A. Macdonald's 200th birthday in 2015, and Canada's 150th birthday in 2017. On her twenty-first birthday in 1947, then Princess Elizabeth spoke to the Commonwealth and made the following statement: "I declare before you all that my whole life, whether it be long or short, shall be devoted to your service…." This declaration, made almost five years before her accession to the Throne as Queen of Canada on February 6, 1952, can be seen in all Her Majesty's work and it is the foundation of the relationship that she has nurtured with Canada and all Canadians over the past sixty years as our Queen. Marking Her Majesty's Diamond Jubilee as our head of state is cause for great celebration. Indeed, more than eighty percent of Canadians have known no other Sovereign than Queen Elizabeth II. Throughout our lives, we have witnessed firsthand The Queen's dedication to duty and her service to this country over sixty years. Canadians have good reason to honour The Queen and celebrate Her Majesty's record of service. They also have good cause to both emulate this record and to honour those Canadians who quietly and in their own ways continue to build our communities and our country, all in the cause of service to others. In Her Majesty's Diamond Jubilee Year, the Royal Tour of Canada by Their Royal Highnesses The Prince of Wales and The Duchess of Cornwall will highlight service as both an enduring value of Her Majesty as well as an intrinsic Canadian value. The service of The Queen and Her Majesty's family to Canada, be it as Colonels in Chief of various regiments, the Duke of Edinburgh Awards Programme, The Prince of Wales' Charities or numerous other examples, underscores the important bond between the Crown and this country that will be a central focus of the Diamond Jubilee celebrations. Part of this Tour will be a focus on Canadians who have adopted service as an inherent value of our society and identity: volunteers at local hospitals and nursing homes, who donate their time and encourage learning and philanthropy, the men and women who serve in the Canadian Forces as well as all peace officers, educators and parents who give freely of their time to ensure our children serve their communities and make a difference. These and so many others who go about their daily lives doing good works with little thought of personal credit or recognition. It is this service to Canada, both at home and abroad, that has come to be a defining quality of the Crown and all Canadians. The Royal Tour will focus on this record of service and how it plays such a pivotal role in developing the fabric of this country and reinforcing our collective sense of identity. While taking time to honour our Queen in ways that are most meaningful to each of us in the communities where we live, Canadians should also take time to honour those around us who, through their service, bring credit to us all. We could offer no greater gift to Her Majesty in this Her Majesty's Diamond Jubilee Year and, in so doing, mirror her own longstanding commitment to the service of others.